Sunday 28th February is our next scheduled aerials workshop day. The workshop will take place in Biggin Hall Hotel (in the upstairs function room) from 1pm. The workshop is suitable for beginners – you just need to have a little co-ordination and dexterity, and the only proviso is that you bring your own partner (and that partner can be anybody you trust – they don’t have to be dancers). Following the aerials class, we will be running a workshop teaching a simple partnered routine. This routine will focus primarily on Charleston and six-count moves, so is suitable for fairly new dancers (though not complete beginners, we’ll expect you to be at least able to do a Charleston and a triple-step) and will also provide enough challenging material to keep the more experienced dancers happy. This workshop will kick-off at 3pm and will run approximately two and a half – three hours, so bring plenty of water, and if you’re doing the whole day maybe pack a light lunch as well. 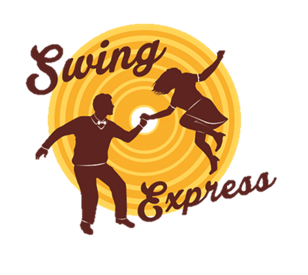 The Coventry swing dance workshops will be £10 per class or £17 for both – A steal for 5 hours of classes!